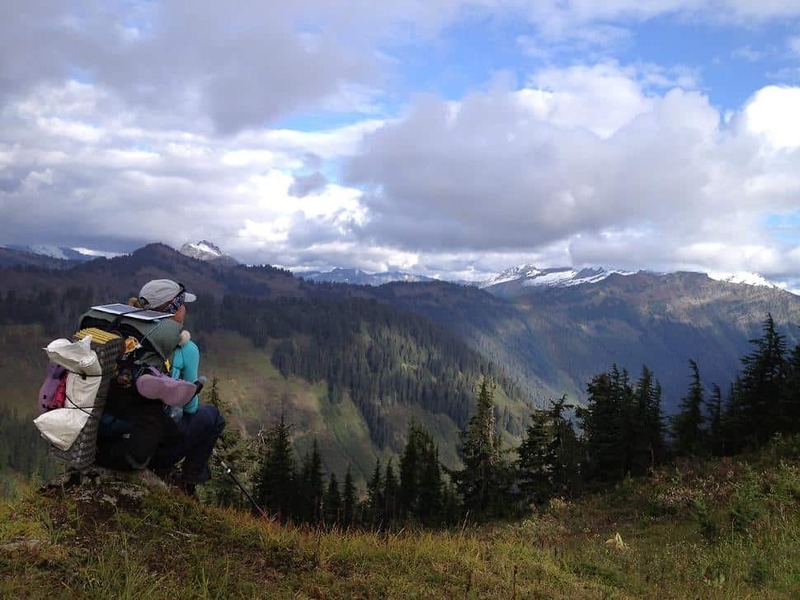 Ever dreamed of hiking the Pacific Crest Trail? Now is the time to start planning for the epic 4,279-kilometre crown jewel of long-distance trekking in North America. The PCT snakes its way from the Mexican-U.S. border through the Sierra Nevada and Cascade Mountain ranges to its terminus in BC’s E.C. Manning Provincial Park on the Canada-U.S. border. It became recently famous through the book and film Wild, inspiring more people than ever to contemplate doing the journey themselves. Some devote a couple of weeks annually and hike the trail section-by-section, knocking it off over the course of several years. Others, like Australian Rozanne Pilbeam, through-hike the trail—completing its entire length in one season. Very much a rookie hiker before taking on this gargantuan task, Rozanne is writing a book about her experience on the PCT, revealing the subculture and essence of life on the trail. 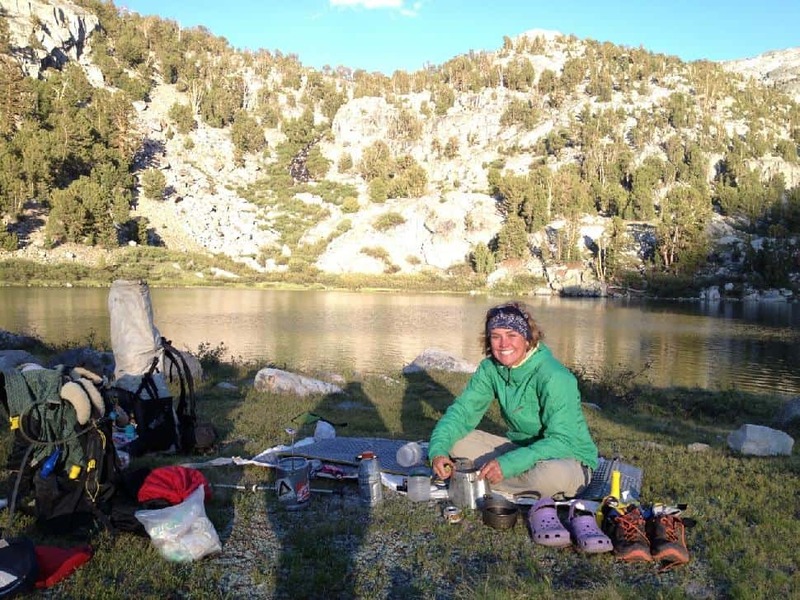 I recently chatted with her about the big hike to get tips, hints and inside information for explore readers contemplating doing the PCT themselves. 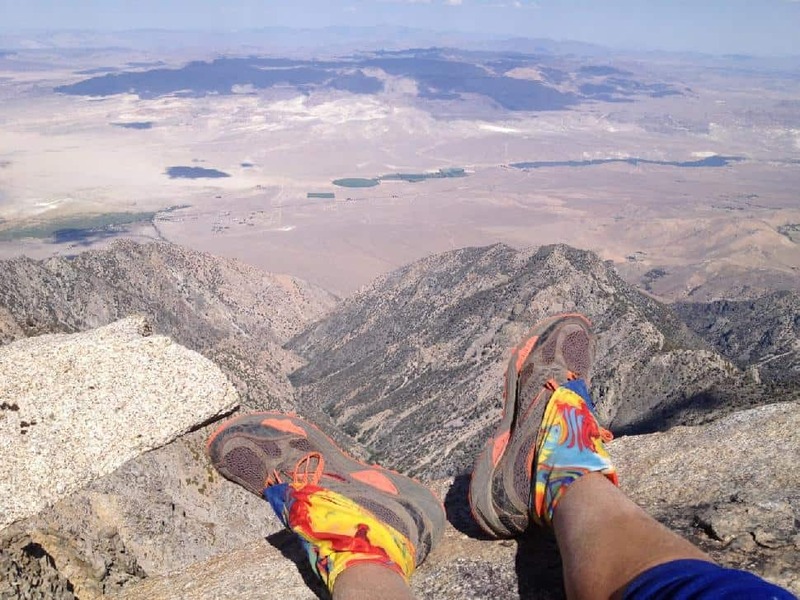 What inspired you to hike the PCT? 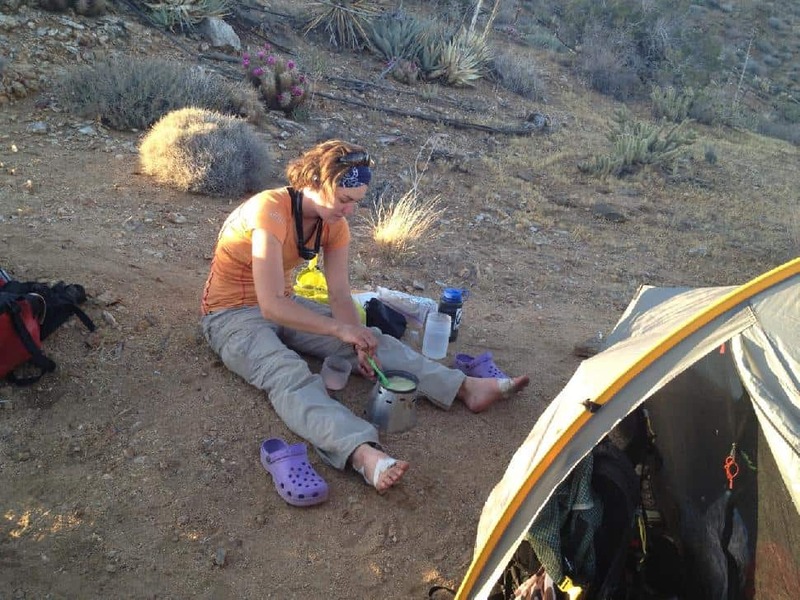 Unlike Reese Witherspoon in the movie Wild, not everyone chooses to hike the PCT to escape a heroin addiction—though I’m convinced everyone is either running from something or searching for a better version of themselves. I’d heard about the trail from a friend in 2008, and five years later while sitting on the cliffs of an island in Malta, I decided I’d give it a shot. I was gazing across the Mediterranean Sea with the wind whipping through my hair, and although the scene appears romantic, my life had basically derailed. I’d ended a two-year relationship, I was unemployed and I had no mailing address. I was between everything and all I wanted to do was walk, freely and independently with everything I needed on my back. I just needed somewhere to go, and that’s where the trail came in. Were you an experienced outdoors-person before you set off on the trek? No, most definitely not. My first ever multiday hike was to the summit of Mount Kilimanjaro in 2011, and I hadn’t owned a pair of hiking boots before that. I’d camped alone for the first time on a trail in Sydney, Australia two weeks prior to the PCT, and took a wilderness first-aid course the weekend before I began, so as you can see, I don’t like to warm up. I just jump straight in! I should add that I spent a few months researching the trail and testing out gear. You can learn a lot while you’re out there, but you should at least know the 10 essentials, and have some appreciation for the environment you’re getting into. What was hardest about the trip? Everything was hard. Hiking the PCT was one of the most excruciatingly painful experiences of my life, (but I loved it nonetheless). Carrying a pack one-third of my body weight (around 45 pounds) was tough, especially when the elevation gain is equivalent to climbing Mount Everest 17 times over six months. My feet turned into a giant mash of blisters, my toes went numb, my lower back ached constantly and my shoulders screamed for mercy every second that giant lump of a pack was on my back. Through the desert, I had to carry up to seven litres of water, and while crossing the Sierra Nevada, I hauled 10 days of food in a bear vault. What was the most dangerous moment? My 2.5-hour standoff with a mountain lion felt like the most dangerous, though risking hypothermia and being caught in a whiteout in the Northern Cascades was probably the most life-threatening! That’s a tough one. Something miraculous seemed to happen every day. The kindness of strangers floored me, but there was one night in the High Sierras while cowboy-camping under a clear blanket of stars, when it hit me that I was really out there. I was deep in the wilderness on the other side of the world to Australia, yet I felt perfectly at home, like I belonged in the woods. I had an ice axe beside me to fend off bears, and nothing but the mountains and trees to keep me company. I’d never felt so alive! Did you form any deep personal friendships along the route? Your fellow through-hikers become like family—one giant herd migrating north towards Canada. The pack spreads out once you hit the Sierras, but it’s rare not to bump into at least one through-hiker on most days along the trail. Depending on my hiking speed and how long I spent in towns, I would see some people almost every section, and others not for weeks or even months. I made a number of close friends along the way... and it wasn’t uncommon to find love out there too! Strangest person you met on the trail? Ha! Everyone’s a little strange on trail. There was one guy who started with two donkeys (although I’m not sure he/they finished). Another guy who was a cellist for the Oregon Symphony gave concerts in towns along the way (although I’m pretty sure he didn’t carry his cello on trail). I came across people who basically lived in the woods during the hiking season. And although not exactly strange, but rather superhuman in my opinion, a girl named Heather Anderson (trail name: Anish), completed the trail unsupported in 60 days compared to my 174! Any injuries or physical difficulties in walking 4,200 kilometres? My worst injury was a condition called Meralgia paresthetica, caused by the pinching of the lateral femoral cutaneous nerve (LFCN) in the top of my left thigh. The symptoms were numbness and severe burning sensations that shot from my hip down into my leg as I walked. Think boiling lava shooting through your veins, and you’ll have some appreciation of how it felt. It was caused by extreme weight loss and my pack pushing directly on the nerve. I ended up having to wedge a rolled-up piece of foam between my stomach and hip belt to increase my girth, and then took a cocktail of anti-inflammatories every morning to manage the pain, though eventually it subsided. Name a few key pieces of gear that were crucial to your success on the trail. My Black Diamond Carbon Z Trekking Poles saved my knees, helped me balance through river crossings, and were crucial in fending off mountain lion attacks. I also loved my Suntactics sCharger-5 Portable Solar Charger that kept my iPhone (my main navigational and photographic device), as well as my Steripen UV water filter fully charged. For all the ladies out there, the Diva Cup was an absolute must for this type of trek, or any multiday excursion in my opinion. And last but not least, my ultra-light Tarptent shelter, which I sometimes still refer to as "home." I prepared all my resupply boxes before I left and sent them to post offices in towns along the trail. What is a resupply box? It contains all the food (except for lunches in my case) and beverage mixes, maps, wipes, hand sanitizer refills, etc., you might need for each section. Some people chose to buy along the way, but it’s a lot cheaper to buy in bulk and you can guarantee what you’re getting. I’ve detailed most of what I ate and drank on my PCT blog mexicotocanada2013.com, but to summarize: breakfast consisted of oatmeal and Pop Tarts as a treat. For lunch, I would buy fresh tortillas and either cheese, avocado and salami, or simply peanut butter and Nutella. And for dinner, I created my own dehydrated meals including couscous and dehydrated vegetables, mashed potato with croutons and bacon bits, tuna casserole with Minute Rice and mushroom soup, and pasta and dehydrated tomato sauce. Why do people on the PCT go by trail names in lieu of their birth names? What's your trail name and how did you get it? Trail names are all part of leaving your identity and baggage from the real world behind. Most names develop from a unique characteristic or behaviour someone displays. Spoonman always lost his spoon, Pac Man carried an enormous pack, Nightcrawler hiked by moonlight, and so on. For me it was a little different. My friend Sarah, who’d hiked the trail in 2004, named me before I left. We met while working at the Vancouver 2010 Winter Olympics, and during the games, I loved the mascot Mukmuk. He was a rare species of Vancouver Island marmot described as “small and friendly,” and the name comes from the Chinuk Wawa word “muckamuck,” meaning “food” or “to eat.” Sarah believed this name was a perfect fit. Mukmuk is rare, like an Australian hiking the PCT. He is good in the mountains, light on his feet, resourceful and likes to eat! What are three pieces of advice you would give to someone thinking of doing the PCT? Look after your feet by choosing the right footwear. Picking hiking shoes or trail runners that allow your feet to breathe, are lightweight yet sturdy enough to support weight and that fit the shape of your foot takes time. Don’t leave it to the last minute! I went through six different pairs until I found the perfect pair (Brooks Cascadia 12 Trail Runners—pictured above), and that was while I was hiking the trail. Expect the unexpected and go with the flow. Don’t expect to stick to your original itinerary because you will undoubtedly experience delays. Some people were stressed because of work commitments, family obligations or weddings mid-trail. If you can, clear your calendar. The term “trail time” exists for a reason. Time moves at a different pace out there. If you have the freedom to hike the trail, take advantage of every second. This one is overused, but for good reason: “Hike Your Own Hike” (HYOH) is one of the greatest lessons you will learn on the trail. It’s easy to want to keep up with a group of people you like, or wait in town for those same people to hit the trail. 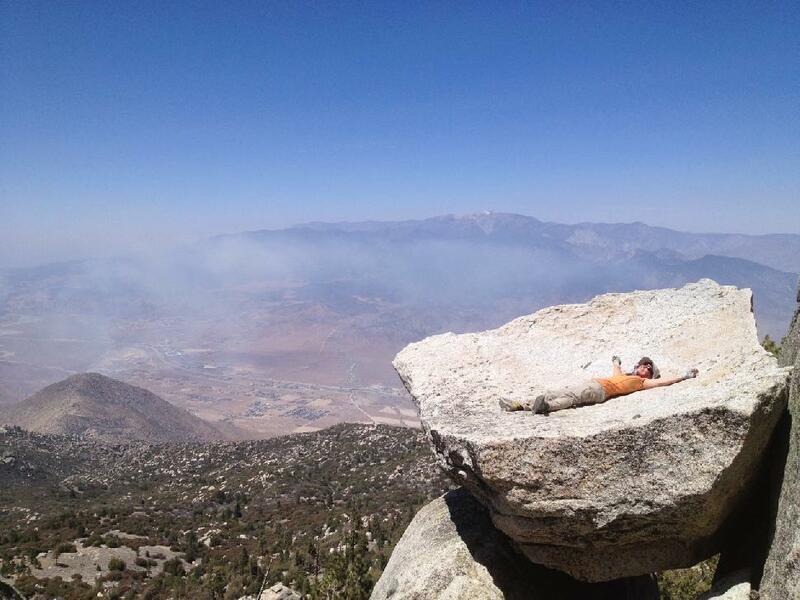 But if you’re constantly pushing yourself you might risk an injury, and if you’re getting antsy because your friends sleep in while you want to hike, it will take away from your experience. HYOH and the trail will look after the rest! Would you do the PCT again? The trail is part of who I am, and a huge part of me was left out there too. I would hike the PCT again in a heartbeat, but it would be hard to replicate the magic of my original experience, plus there are many other long-distance trails I would prefer to explore before going back! Have you written about the experience? I kept a very comprehensive blog (mexicotocanada2013.com) while I hiked the trail, and I’m currently writing a memoir about my experience, which I hope to complete in 2018/19. Any epic adventures since you hiked the trail? I traded my hiking boots for a paddle in 2016 to compete in the Yukon River Quest, the world’s longest annual canoe & kayak race in the Yukon. I’ve done a few shorter hiking trails on the west coast of Canada since, plus the Camino de Santiago in Spain in 2014. What's next? And if so, can people follow along online somewhere? I’m off to New Zealand in December to hike the 3,000-kilometre Te Araroa trail from the tip of the North Island to the bottom of the South Island (Cape Regina to Bluff). The “tramp” (as the Kiwis call it) should take me around four months. I’ll be keeping an online journal at serialnomad.com and posting photos and videos on Instagram @serial_nomad and YouTube. How to stay strong, so you’re always ready for your next adventure. Tips from a top adventurer. Frank Wolf is headed out on a 1,200-kilometre expedition across the wilds of Nunavik and Labrador. And you can join him! Do You Have The Right Gear For This Adventure? Discover the best way to LIVE THE ADVENTURE every day. You've read this article. You're ready to EXPLORE. But perhaps you need more gear? More motivation? More knowledge? 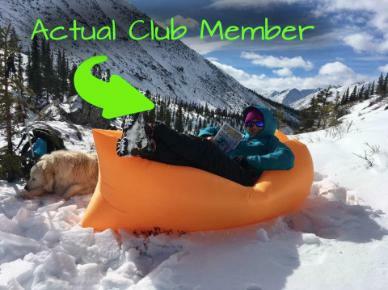 And perhaps even a lively, active community to inspire you along the way? It's called the LIVE THE ADVENTURE CLUB. And we're waiting for you to join us.